Make it a K9 Christmas! Save the date for one of the cutest charitable causes in Barbados! 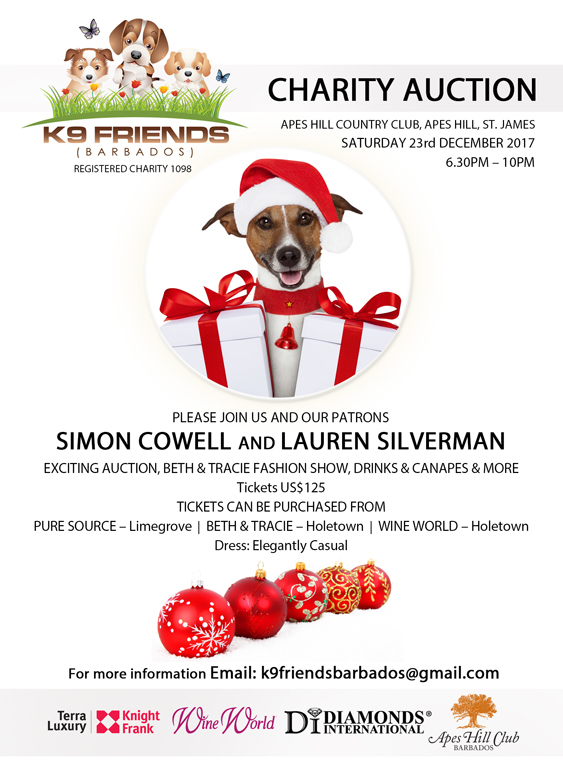 Once again, the team at Terra Luxury has partnered with the K9 Friends Barbados Charity to sponsor their annual K9 Friends Barbados Charity Auction - a cause aimed at funding and facilitating all local canine welfare organizations. On December 23, the hammer will fall on the fourth annual auction, and all are invited to attend. This year, the event runs from 6:30PM until 10PM, and will take patrons to the lovely Apes Hill Country Club in St. James for an evening of fun and goodwill. The 2017 lineup features the usual auction as well as a Beth & Tracie Fashion Show. Patrons will also enjoy sumptuous canapés as well as a bar stocked with the best in local drinks, unique cocktails and fine spirits. 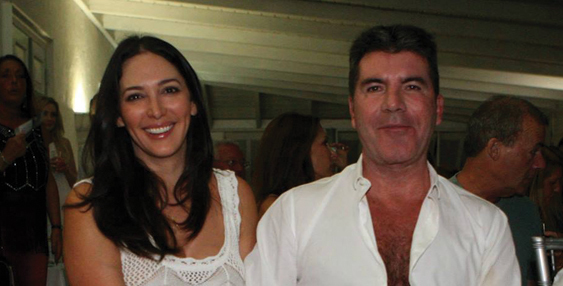 Besides being one of the most prolific canine welfare advocates on the island, the K9 Barbados charity has gained much desired popularity and has earned a stellar reputation thanks to the continued endorsement of its celebrity patrons - Simon Cowell and Lauren Silverman - who will also be in attendance. Founded in 2014 by Karen Millen and Danielle Mulligan, the animal wellness charity has spearheaded many initiatives that have made important strides in canine welfare in Barbados - namely helping the Ark Animal Welfare Society of Barbados to establish its own operating theatre as well as procuring a dog shuttle. They continue to equip local bodies with the necessary tools, best practices and general knowledge to manage the canine population in as humane a way as possible.